* This is my second post of the day. 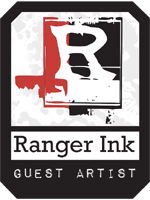 Please scroll down to see my Prickely Pear Rubber Stamps project for this week. Hi everyone, and happy Monday to you all! I hope those of you in the US enjoyed your long holiday weekend with special loved ones. I sure did. It was absolutely wonderful to sleep in, eat and eat and eat, and spend extra time with my two kiddos. The kids and I were really wild, and went to see a movie every day. I know, I know…….that’s crazy business…. Today I am excited to share my last project as guest designer for The Shabby Tea Room this month. I’ve had such fun playing along with my old team again. Debbie really does have some fabulous challenges. This week’s theme, Winter Picnic, is to create a winter-themed project using the colors white, cream, silver, and glitter, inspired by this lovely photo. I really love working with neutrals, and adore the look of white mixed with cream, so this challenge was right up my alley. Love that this color palette is very soothing and calming to the eye, yet can still be quite interesting when you add in lots of visual texture and subtle variations in tone. Kept my card crisp and clean and brought in interest through texture and layering. Embossed snowflakes add a subtle pattern to the background. A mix of trims from crocheted lace to rough twill to smooth satin add a ton of visual texture against the cardstock base. Added in some sparkly glittered stars and shiny bells for a touch of holiday glam. 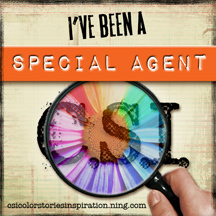 Hope you’ll stop by the Shabby Tea Room blog to see what the design team has created for you and then, play along. A huge thank you to Debbie for having me this month. I’ve had a ton of fun playing in the Tea Room again! Thanks so much for stopping by! Hope to see you again soon. It’s a busy week here on the blog, so do stop back. We’ve got a new challenge launching today on the LESSology blog, and I’ll have a little holiday tutorial on Wednesday for The Kraft Journal. 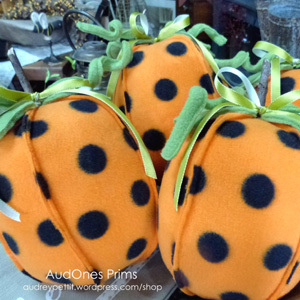 Plus something for Epiphany Crafts, too. And for more craftiness today, just scroll down to see my Prickely Pear Rubber Stamps project for the week. What a gorgeous card, Audrey! My absolute favorite thing are snowflakes. 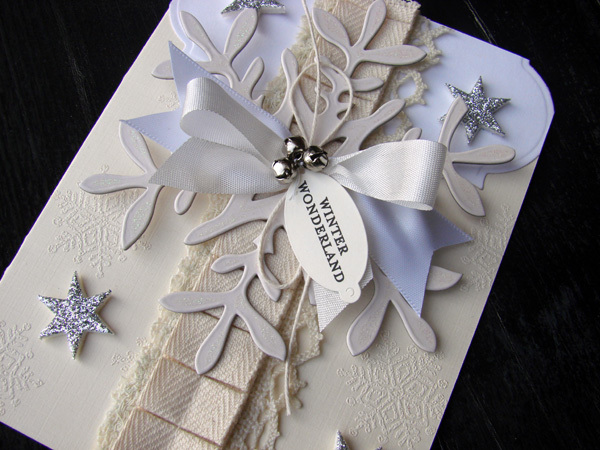 Love the embossed paper, the different ribbons you used and the sweet little bells on the bow. So elegant! Your card is beautiful Audrey!! 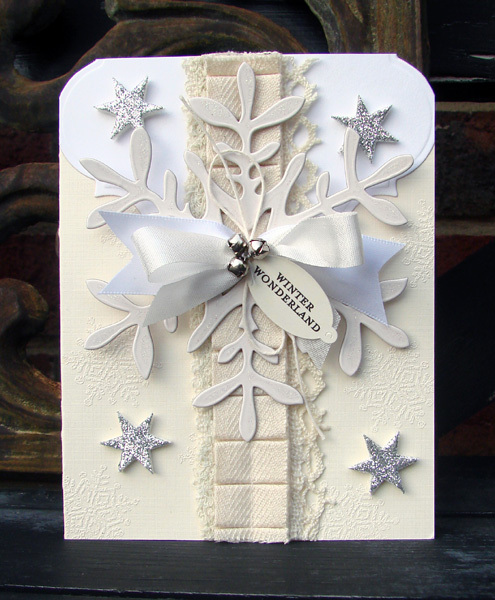 I love the snowflake and the neutral tones, it is simply elegant!! Hope you had a wonderful Thanksgiving holiday! Love this card and soft colors! 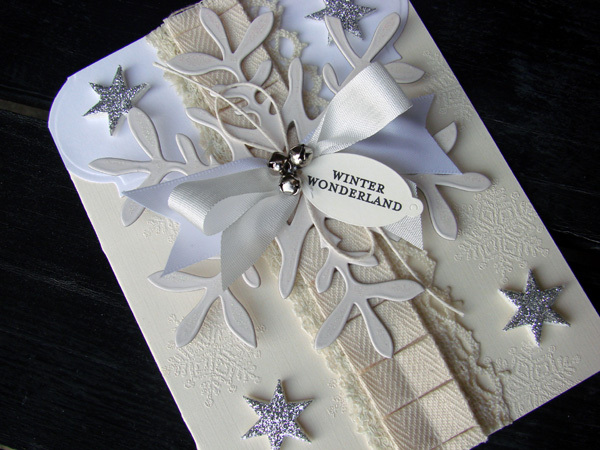 Cute layering of snowflake, ribbon and bells! The card is gorgeous Aud! WOWZERS! Sooooooo GORGEOUS! What is not to LOVE?!!! This is seriously elegance redefined! You really classed up my computer monitor’s screen!!! wowser! This card is truly breathtaking. The soft creams and silvers are so elegant. Beautifully done! 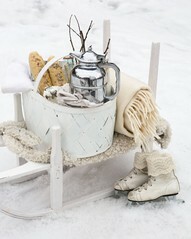 Pure winter perfection … so elegant, so beautiful — a bit of shabby, simple yet stunning — LOVE! I have so enjoyed having you for the month of November as the Tea Room’s Guestie … please don’t be a stranger and pop back over when you have time in your schedule. Hugs to you my stampy friend! OH MY LAWD!!! Thud… Okay, wait while I pick myself up off the floor. Girl, this is just beautiful! Awesome take on that color scheme and so wintery and pretty. Me likey!!! This card is just stunning! Love all the details, layers and textures! did you hear me **gasp**?! This is beyond gorgeous! Lovely!!! Pure winter beauty, Audrey! Love the embossed backgroung, huge snowflake, trim, glittery stars, and little bells! It is a monochromatic peaceful beauty…great job! Take care and have a great week! Just beautiful!!!!!!! I love the tone on tone too!!! That snowflake is gorgeous!!! You sure know how to rock the neutrals alrite ! LOVE!!! Your card is absolutely GORGEOUS!!!!!!!!!!!!!!!!!! Тhis card is so so beautiful, I could look at it for hours. Stunning work, Audrey, as ever! Oh my, oh my!!! What an exquisitely beautiful card!!! Your work is amazing my friend!!!! Love the all-white design. Beautiful! Stunning! Wow. Just wow. I don’t know what to say. This is simply gorgeous! My oh my, this just blew me away… what a beautiful creation!!!! Stunning. Gorgeous. Breathtaking! Love how you create so much interest with such a neutral palette. You are amazing Audrey. holy COW! What a fantastic card. Takes my breath away! Amazing my friend!!! What a gorgeous take on that photo! I love all of those lucious trims and that snowflake with the teeny bells is amazing! Well done! !